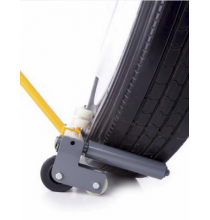 New longer rollers (2-1/2" longer) makes it even easier to handle super single tires. O-line-er and bracket included (O-LINE-ER used for lining up stud holes with studs). 500 lbs. 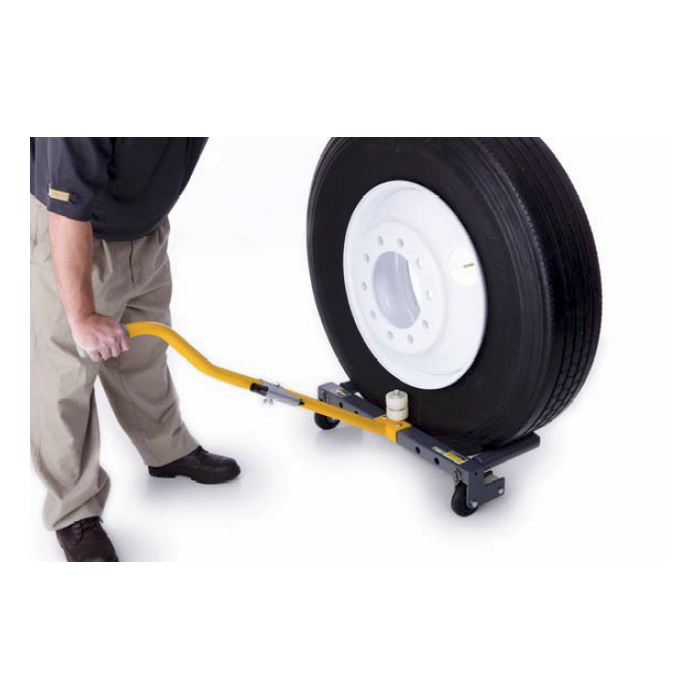 capacity allows for use on all commercial truck tire sizes. Steel frame is more durable than aluminum units. 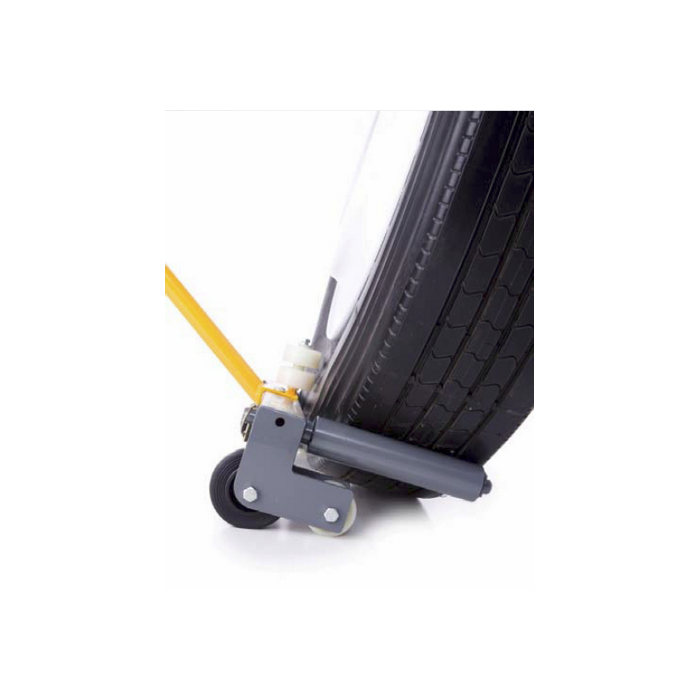 Wheel position allows tech to lift tire/wheel assembly by pushing down instead of lifting up. 545D Truck Tubeless Valve 3.50in. RL7850OLP Heavy Duty Reel 1/2in.x50ft.